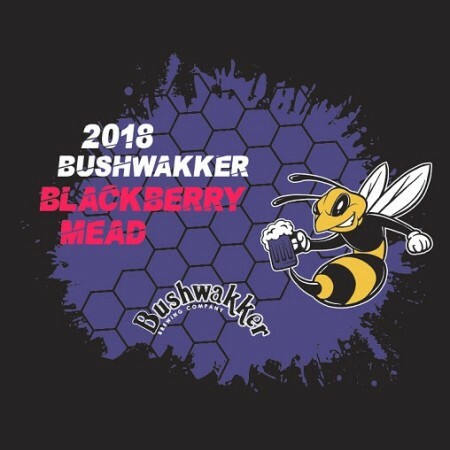 REGINA, SK – Bushwakker Brewpub has announced that this year’s vintage of the extremely popular Bushwakker Blackberry Mead (10% abv) – created using 400 pounds of Lumsden Valley honey and 80 pounds of blackberries per batch – will be going on sale Saturday December 1st at 11:00 AM. Although as always, those hoping to get a bottle may want to show up a fair bit earlier than that to avoid being disappointed, as the line-up traditionally starts the day before. As always, there will be free hot chocolate for those waiting in line, and for the first time this year, the first 50 people in line will receive a free limited edition t-shirt. Bushwakker Blackberry Mead will be available to purchase in a limited run of 650 ml bottles that are expected to sell out within hours of going on sale. It will also be on tap at the brewpub while supplies last.